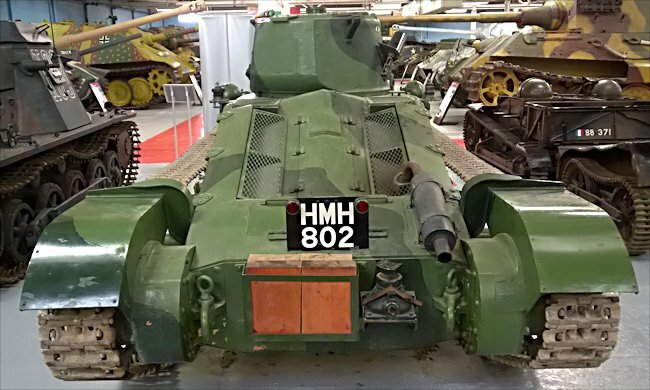 Two surviving Matilda I British Infantry Tank A11 can be found at the Tank Museum, Bovington, Dorset, England. It was only armed with a machine gun. 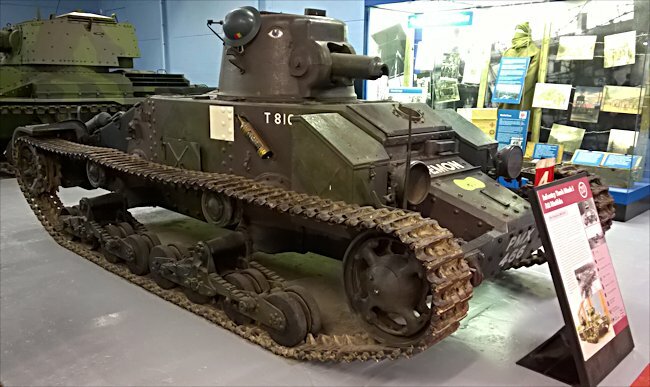 Its official British designation was Tank, Infantry Mark I Matilda (A11). Most of this Mark I British Infantry A11 tank, the Matilda I was recovered from British Army Otterburn Ranges. It was later restored by Bob Grundy. It originally had 75 shot holes in the side. The Bob just left one hole which you can see on the left side of the vehicle chassis side by the front of the turret, as evidence of its previous life as a target. Lengths of iron bar of the correct width were inserted into the holes and welded in place then chopped off before being ground down filled and painted over so you cannot see anything left of the damage. A lot of the bogie wheels and suspension came from a Russian T-26 wreck in Norway. The original would have had a Ford V8 engine and a crash gearbox but at the time of restoration the Bob Grundy could not get one of those so the A11 Matilda is powered by a Rover V8 car engine with an automatic gearbox. It is in a working conditiona and can bee seen on tank days at Bovington driving around the Arena. In 1939 the British Expeditionary Force sent to France was in a pitiful state in relation to its armoured response to Hitler’s Panzer Divisions. The 1st Armoured Division was Britain’s only answer to the German threat. It had so few Cruiser A9, A10 or A13 tanks that senior officer commanding the BEF France, Lord Gort, initially refused to accept the Division in France because it was not ready to fight and understrength. 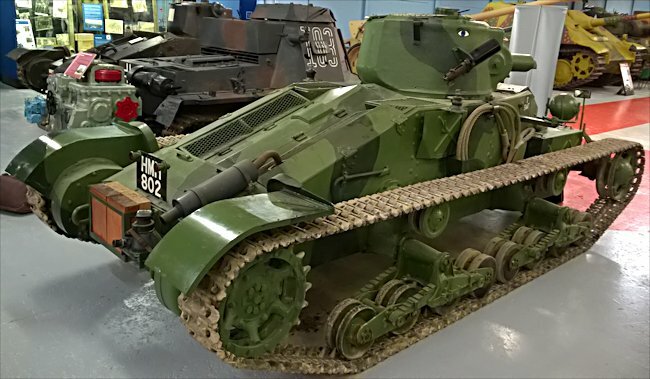 He wanted it to wait until 50% of it Vickers Mark VI light tanks were replaced with tanks that actually had a gun rather than just machine guns. He demanded the shipping of tanks that had the 2pdr (40mm) guns fitted as they were the only weapon available at the time that could penetrate the armour on the German Panzer tanks. At the time, the Cruiser tanks were seen as the saviour the British Army needed to be able to fight the up and coming war on an even footing with the Germans. They had a very nasty shock coming to them in the form of the German 88mm gun. The 50 British Mark I ‘Matilda’ infantry tanks that accompanied the BEF to France (not to be confused with the exceptionally good Matilda II infantry tank) had thick armour but only one .303 Vickers machine gun. The front armour was 60mm thick and could withstand direct hits from the standard German 37mm anti-tank gun and the Panzer II tank’s 20mm gun. Their shells would just bounce off. 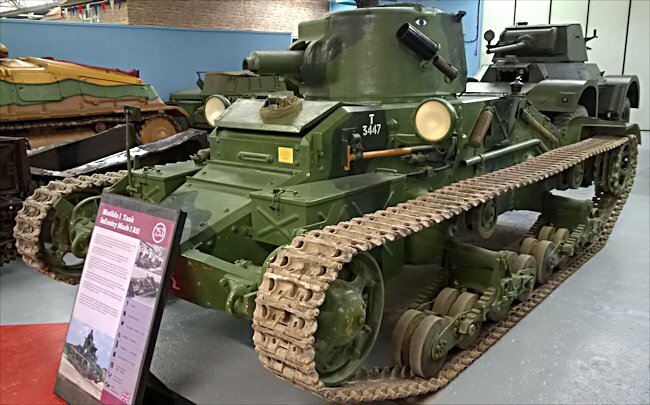 Having just one machinegun made the Mark I Matilda tank nearly as useless as the Vickers Mark VI light tank in dealing with the German Blitzkrieg attack in May 1940. In an infantry support role against enemy troops and machine gun posts, it would perform that roll adequately. The lack of a cannon meant it still could not deal with strong points. In 1940 the German High Command did not play fair. They did not make war in the traditional way the British and French expected, an infantry war in which slow moving heavily armoured machine gun armed tanks would be fine. The Germans used mass concentration of armoured vehicles to punch their way through Allied positions. The Matilda I could not cope. It could not knock out enemy tanks. 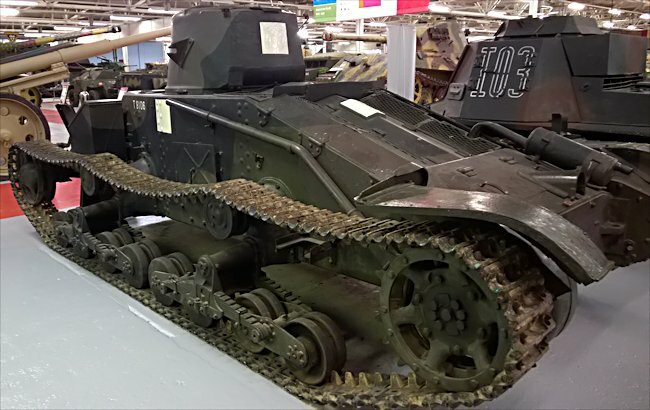 Mark I British Infantry A11 tank, the Matilda I nicknamed 'Demon'. The tanks of 7th Royal Tank Regiment that had survived the initial counter-attack on the German blitzkrieg were eventually ordered to retreat. By then 10 of its 23 Matilda I tanks and all of its Matilda II tanks were out of action from either enemy shells or mechanical breakdowns. Lieutenant-Colonel Hector Heyland, the Battalion's commanding officer, was among those killed. He was shot when he climbed out of his tank to pass on the retreat order to another tank commander. This tragic loss could have been avoided. It would not have happened if the radio equipment fitted to the Matilda tanks had been properly adjusted by the engineers before the tanks went into battle.